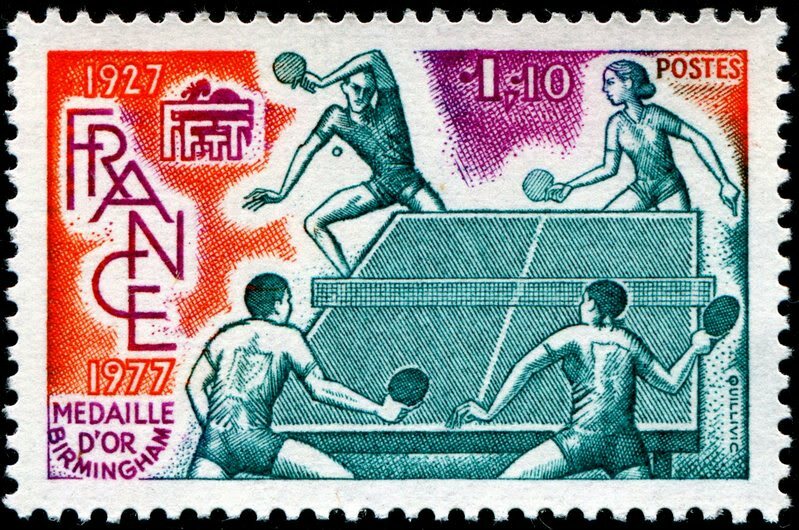 The first National tournament of the season of France will be held at Chapelaine Table Tennis club, where many of the top 100 players of France are expected to participate. 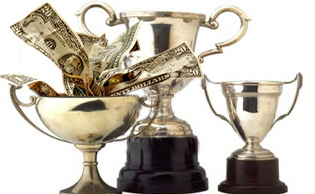 The tournament runs on January 5 and 6. 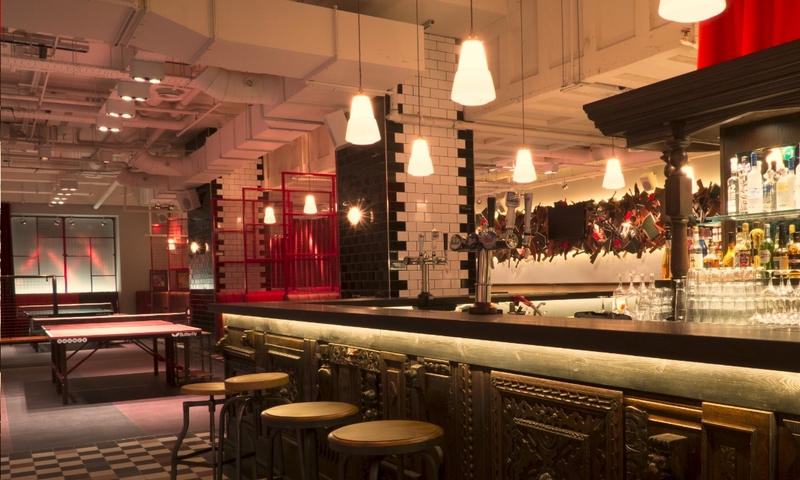 Ping Pong is now a huge party occasion. 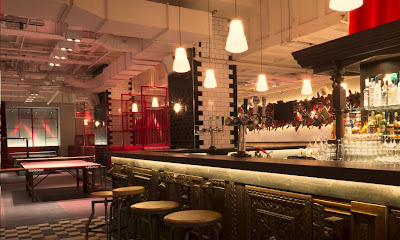 The ambiance is awesome at many such theme clubs. Bounce London, SPiN New York, LA, Milwaukee and so on are some big locations where celebrities and other people will party. Ping Pong more dangerous than Guns says Texas State Representative (Kyle Kacal). Donic seems to have introduced a winner in the Bluefire series (M1, M2, M3). The rubbers boast extraordinary amounts of spin, and have great control. Speed is very good, but that is not their forte. A very balanced series of rubbers, Bluefire can be very effectively used for middle to slightly far from the table play. The rubber is ideal for both backhand and forehand. Priced lesser than the Tenergy, Bluefire rubbers are definitely great value for money. An ambitious club level player (USATT rating 1600-2300) can easily adapt from Tenergy since Donic has spent valuable and careful time to research and bring out this rubber. Similarly, for a player above USATT rating of 2300, it is a simple move without major adapting required. Table Tennis Party at Bounce! Take a look at this awesome picture of the new year's eve party setting at Bounce! 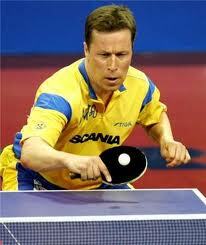 All time Table Tennis great, Waldner, expressed his desire to coach the Swedish Table Tennis team. 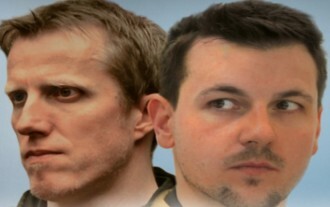 Not only that, Waldner even suggested a unique idea. That Jorgen Persson and Mikael Appelgren can join him and form a coaching team. Waldner felt that this strong team had a lot to share in terms of experience and expertise. Waldner hinted at problems with the current Swedish National coaching system and coach. 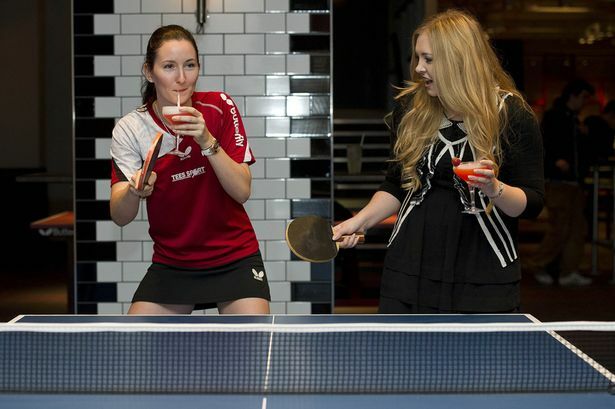 In addition to this, the Swedish Table Tennis Association is without a sponsor for over a decade. 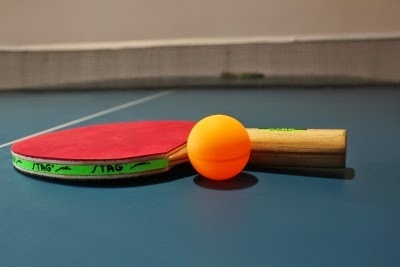 A Table Tennis robot developed by the Technical University of Darmstadt and the Max Planck Institute for Intelligent Systems has amazing capabilities. First teach it to play and then play with it! In the absence of Michael Brown of Australia, Wang Qi of New Zealand is the favorite to win this year's title. Others who are expected to give the favorite a run for his money are Lal, Peter Antonia, Zhang Bei Yan, and Lou Gou Gin. Yoshua Shing also is competing and will be in contention. A total of about 70 participants are expected to play, said the tournament organizing committee member, Christopher Lal. Another aspect of the tournament is the participation of players in training, where members from Nauru, New Caledonia, Australia, Ba, Lautoka, Nadi Suva, Nausori, and Lami will take part. China-born Li Jiawei, who represents Singapore in International Table Tennis tournaments, announced her retirement from Table Tennis. Li Jiawei is a medallist at the Olympic games in 2008 and 2012. She was also a key member of the women's team that beat mighty China in the World Team Championships at Moscow in 2010. Her other achievements are multiple medals (including gold medals) at the Commonwealth Table Tennis championships and games. Li Jiawei became a Singapore citizen at the age of 18, a couple of years after being spotted by Singaporean talent scouts, who offered to train and later retain her under the Foreign Sports Talent Scheme. Li Jiawei was ranked as high as No. 3 in the world at one time and was 21st at the time of retirement. 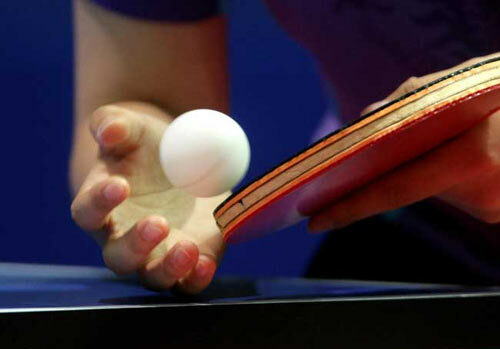 Sun Bei Bei, another star Singaporean Table Tennis player also announced her retirement. The Singapore Table Tennis Association made the announcement at Toa Payoh. 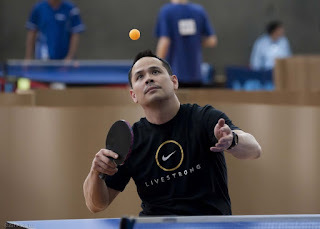 Ibrahim Alhoseny plays Table Tennis holding bat in his mouth! 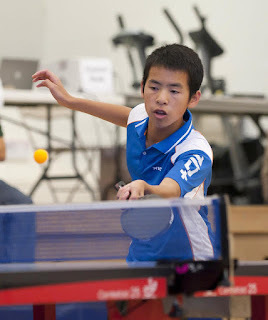 Ibrahim Alhoseny has no arms but has a huge heart to play Table Tennis. He uses his mouth to hold the racket and tosses the ball with this foot! Yes, we do have the normal Nittaku Table Tennis Balls, these are just for fun! 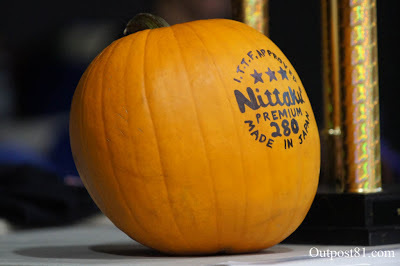 A pumpkin Nittaku? 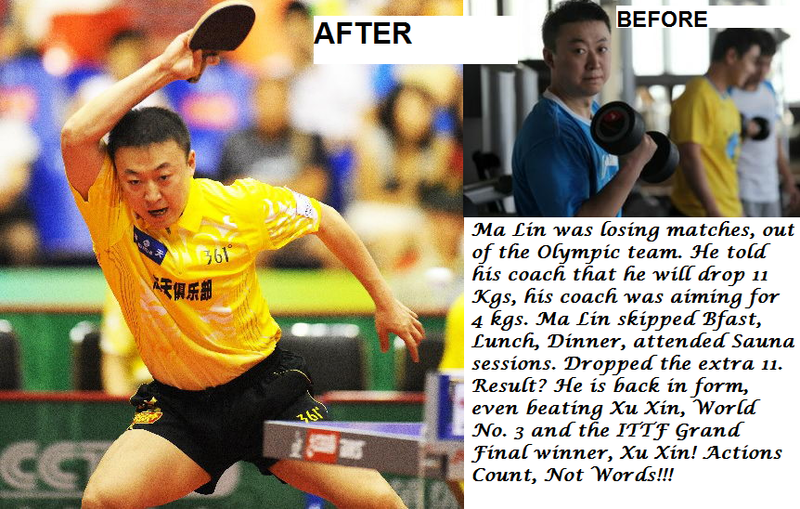 Ma Lin was losing matches, was out of the Olympic Table Tennis team. He told his coach that he will drop 11 Kgs, when his coach was happy with 4 Kgs. Ma Lin skipped breakfast, lunch, and dinner sometimes and attended sauna sessions. The result? He is back in form, even beating Xu Xin, World No. 3 and ITTF Grand Final winner. Actions matter, not just words! Great show by the young Indian team!! Harmeet Desai won the Men's singles at the Fajr Cup at Iran. Olympic player Soumyajit Ghosh won the silver. 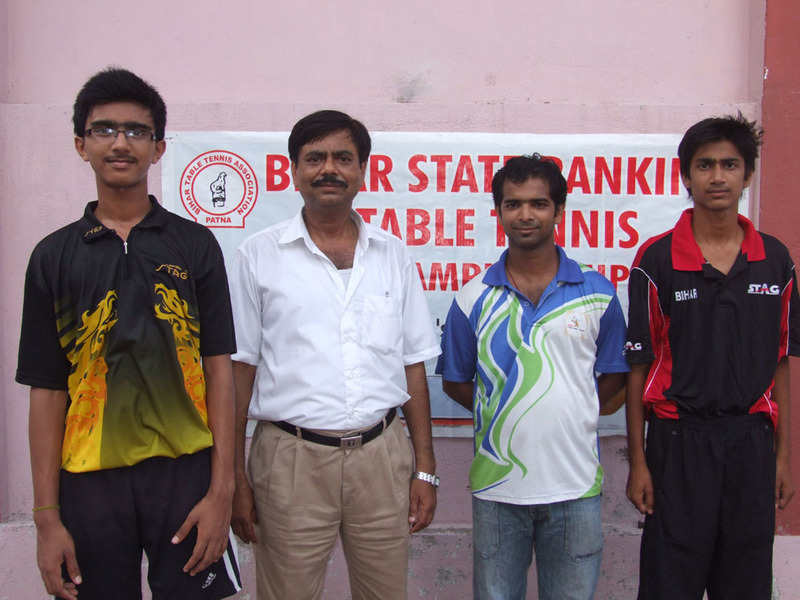 In the Men's doubles, Sanil Shetty won the title! The highlight of the tournament has to be Harmeet Desai's amazing performance. He beat a World Class player in the Quarters and then the World No. 40 and very strong Noshad Alamiyan in his own home ground. With Hraday Desai. Table Tennis Rubber? 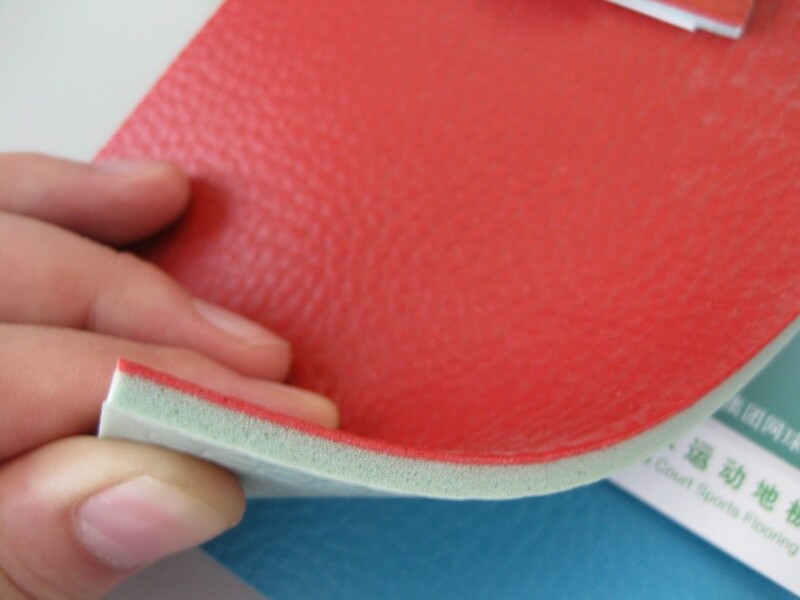 No, it is a Table Tennis flooring mat. Virtual Table Tennis or Real Table Tennis? 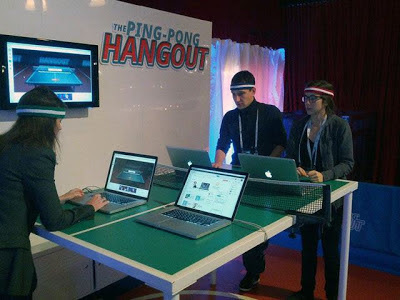 Playing Virtual Table Tennis on a real table. Piyush Gandhi beat Naman Kumar in the Men's Singles final (3-1) of the Bihar State Table Tennis Championships at Madhepura. 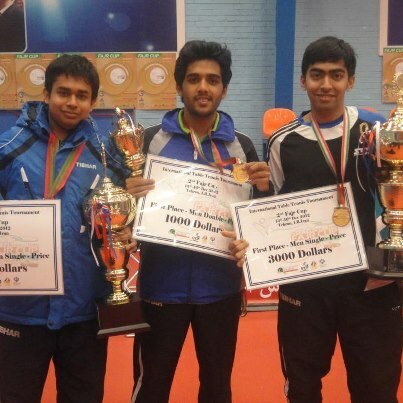 But, Naman Kumar beat Piyush in the Junior and Youth singles to clinch a double. 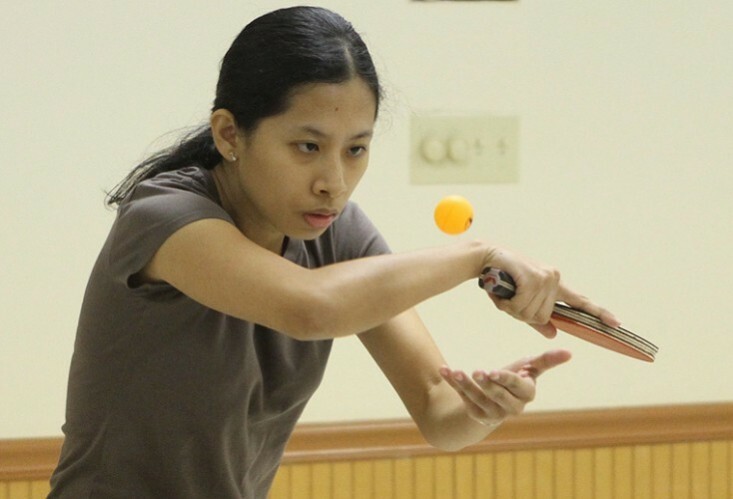 Chandra bagged a double crown winning the Women's and Youth Singles titles. Xu Xin is back in form! Intense! That's Xu Xin. The man is back in form! The Best Table Tennis deal. 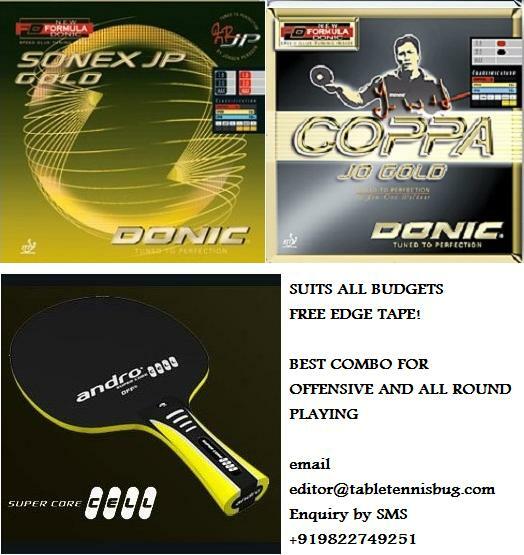 Full discount on Combo - Andro Super Core Cell OFF blade + Donic Rubbers (Coppa JO Gold, Sonex, JO Platin)!!! We offer the best online price in India for Donic Coppa JO Gold. Limited time offer on email: 1800 minus special discount! We offer the best online price in India for Donic Sonex JP Gold. A solid blade for offense and all round play. Best quality equipment, cheapest prices online guaranteed. December 13 to December 16. Mickey mouse trying his hand at the game, also popularly called Ping Pong. The Indian Girls upset higher seeded France and now face The Netherlands in a playoff for the 11-12th places. 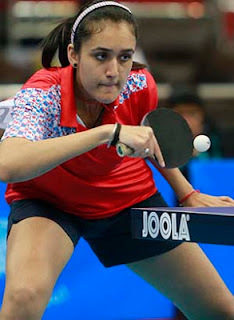 Manika Batra shone for the hosts. The Boys, however, could not make it to the top 12. Hong Kong and the United States booked quarterfinals. The US has so far put up an impressive but unexpected good performance. Xu Xin won a lucrative $ 104,000 and a handsome SUV as a reward for his victory at the Grand Finals at Guangzhou. Wang Hao had to be satisfied with $ 52,000 and a GAC Gonow GX5 SUV. 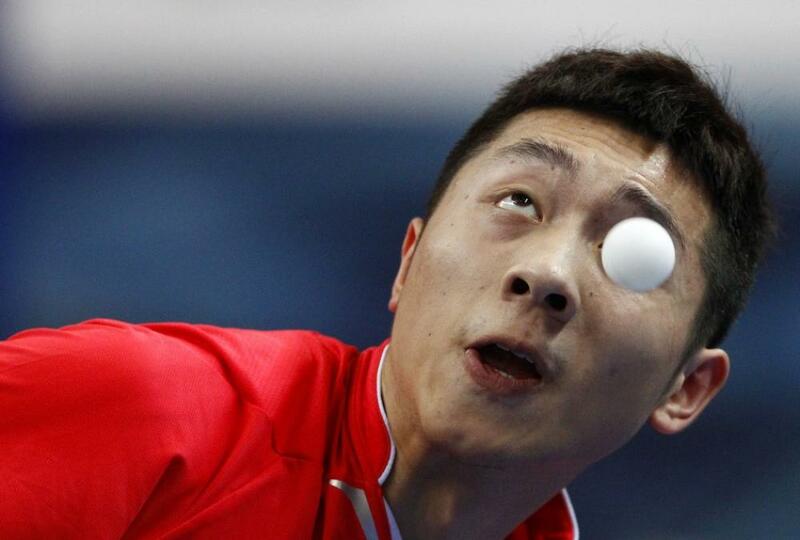 Xu Xin beat Wang Hao 11-8, 11-7, 11-6, and 11-7. In the semi-finals, the top seed Xu had beaten Ma Lin 4-1 and Wang Hao had overcome Chuang-chih Yuan 4-2 in a close encounter. Swansea Open Table Tennis Tournament starts on 9th December 2012. Dragon Tournament at Cardiff starts 13 January 2013. Daniel O'Connell Welsh Junior No. 1, voted ASDA Welsh athlete of the year. 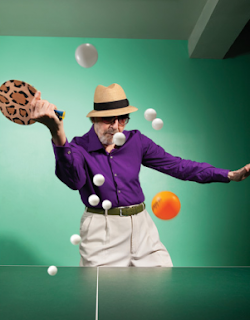 Table Tennis Nation, an organization founded by Marty Reisman two years ago, announced his death. Marty died of heart and lung complications. He was 82. Popularly known as The Needle, Mr. Reisman evoked interest wherever he went. At his peak, Marty was a world class player and won two US Open titles and a British Open too. He created waves even as recently as 1997, when he won the National Hard Bat Championship. Marty was the son of a cab driver in Manhattan. 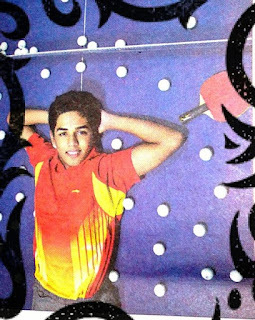 He started to play Table Tennis when he was 12.
International players Sanil Shetty and Mamta Prabhu subdued Aman Balgu and Divya Deshpande to win the Maharashtra Inter-district and State Championships at Aurangabad. While Sanil prevailed over Aman in a straight-forward manner, the Mamta-Divya tussle went straight down to the wire. 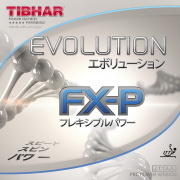 Tibhar Evolution Table Tennis Rubbers are here! Tibhar Evolution rubbers are aiming to give a run for the money for Tenergy series of rubbers and are attractively priced. 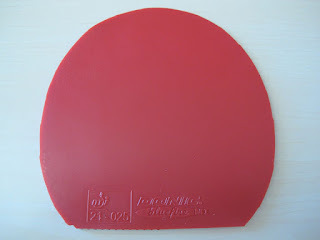 Write to editor@tabletennisbug.com for the Best deals on this fantastic Rubber! Here's an article on Killerspin by Monte Burke (Forbes staff). Strong legs required for Table Tennis, not only hands! 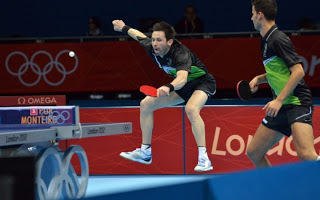 The key to being a successful Table Tennis player is having a strong pair of legs and not only hands. Portuguese player, João Monteiro shows why! A Ping Pong documentary (Die Chinesen Europas) featuring Timo Boll and the German team that won the silver medal at the Leibherr World Championship at Dortmund was premiered at Savoy in Dusseldorf. The other main roles are played by Dmitrij Ovtcharov, Christian Suss, Bastian Steger and head coach Jorg Rosskopf. The director of the documentary Milan Skrobanek has also produced other documentaries on Football and Handball. He spent months with the German National team understanding every aspect of their preparation and actual competition. 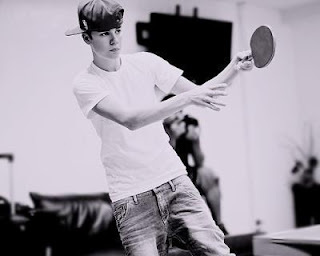 Justin Beiber was wondering why he had to make way for a JP Morgan private party. 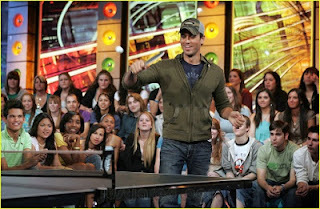 He was playing Ping Pong at Susan Sarandon's SPiN last week. He was heard saying "Why does he get the room and not us?" Mumbai Suburban and Thane won the Men's and Women's Team Championships titles at the Maharashtra Inter district and State Championships at Aurangabad. Cielo Galman dominated the tournament beating accomplished players such as John Suen, Sandeep Sura, and Karl Freitag. The beautiful coastal town hosted this event for the second year in a row. 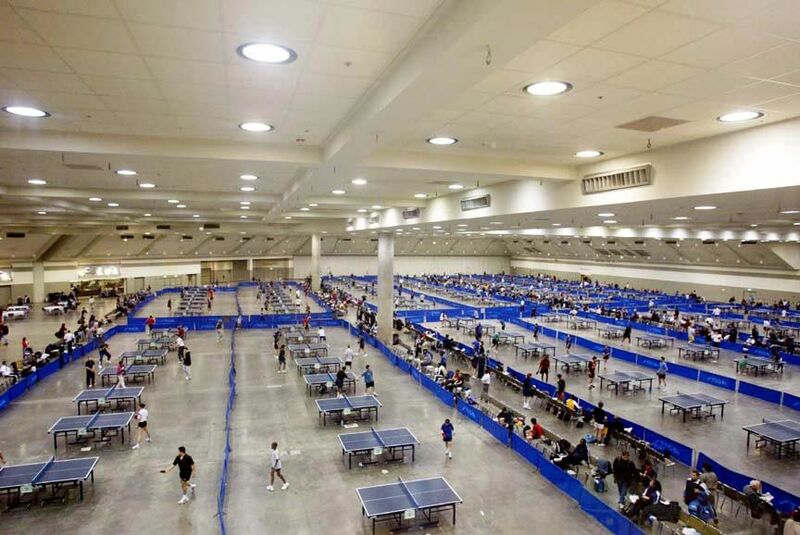 Alameda Table Tennis club is located at Lincoln Avenue, Alameda, CA. 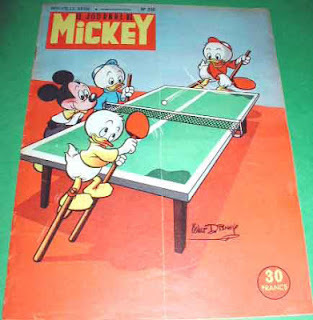 Contact editor@TableTennisBug.com if you need more details on Table Tennis activity. The Concord Table Tennis club in Pleasant Hill, California (CA) has interesting Round Robin Table Tennis Tournaments and training sessions. Contact editor@TableTennisBug.com for more details. 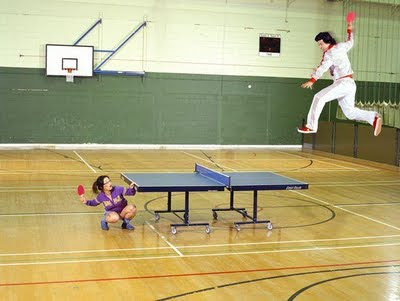 Roger Federer faces Ma Lin at Table Tennis, but each uses his own equipment! Photo courtesy TableTennis Talk on Facebook. Super star Table Tennis player Ai Fukuhara is back to playing Table Tennis after her surgery that kept her away from the Table for an extended period. She lost to China's new top woman player Cheng Meng 4-0. Fukuhara was full of praise for Cheng Meng and admitted that the young player has taken giant strides since she last played her. Earlier, she was seen working out hard at training sessions, despite warning from her coaches not to overwork her elbow. Fukuhara is a very popular player, both among her huge fans in Japan as well as among other professional players. It is a known fact that Ai Fukuhara is very fluent in Mandarin Chinese. Fukuhara plays with the following equipment - Armstrong Attack 8m rubber on her backhand and Spinart on Forehand. She uses a custom blade (FL) made specially for her. That’s in a rush to throw you away? Sharath Kamal and Anthony Amalraj have jumped up in the World Rankings in the December Ranking list.Sharath has moved from No. 79 to No. 68. Amalraj has moved up from 151 to 139.